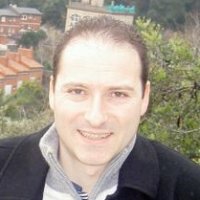 The School of Computer Science welcomes Frankie Garcia from Keysight Technologies, Edinburgh. Abstract: Over the last two decades we have witnessed an unprecedented growth in the number of Internet-connected devices via the Cloud (storage, compute and intelligent analytics) generally referred to as the Internet of Things (IoT). This includes both machine-to-machine (M2M) and machine-to-person communications on a massive scale. While this growth has been fuelled through standardisation and engineering of short range wireless systems such as Bluetooth, Wi-Fi and Zigbee, cellular technologies promise wide area coverage, ease of deployment and low-cost/low-energy devices capable of operating for many years on a small battery. However, IoT technologies based on existing cellular systems are not optimized to support the huge number of simultaneous connections needed for widespread adoption. To achieve this, radical changes are required in protocol layer design, radio access techniques, and future integrated platforms that can scale and handle millions of devices efficiently. These devices will themselves exhibit a diverse set of requirements with respect to reliability, latency and availability. For these reasons, Cellular IoT has become one of the most important use case drivers in the evolution of future 5G technologies and architectures. In this talk we will briefly introduce the audience to existing cellular standards and systems to support IoT communications, including their strengths and limitations. We will then cover the path towards more efficient cellular technologies being developed today under 3GPP, focusing heavily on Narrowband IoT (NB-IoT). This will be followed by a short introduction to 5G mobile network evolution needed to reduce signalling overheads and cater for a diversity of IoT use cases. This evolution is driven by tried and tested technologies used for virtualisation such as Software Defined Networking (SDN) and Network Function Virtualisation (NFV). “Slicing”, is a much discussed design principle that that includes logical access, compute, storage and networking for on demand architectures tailored to individual service requirements. Finally, we will present the development of an agile SDR platform targeting experimentation and prototyping of NBIoT systems. Bio: Educated at Lancaster University, Frankie Garcia is currently Master Scientist with Keysight Technologies in Edinburgh. In addition he is project scientist with Agilent Technologies and over the last two years he has been working on adaptive radio technologies focusing on test and measurements tools and validation tools for the complex interactions that take place between the PHY and MAC layer of such adaptive radios. In particular his focus has been on Mobile WiMAX and presently on LTE. His experience, based on academic and industrial research labs settings is quite broad raging from distributed systems, protocol engineering, high speed communications, multimedia systems, wireless sensor networks, adaptive radio and QoS. He is a Visiting Professor at Strathclyde University, Department of Electronic and Electrical Engineering.